This is something true that we don’t really want to talk about. When a baby is born, we know that it will die. It might be in a day, or it might be 100 years. Eventually, every child will die. That is part of birth that we don’t like to acknowledge. It is part of what it means to be a human. This is important to understand because it was the reason that Christ came as a human, so that he could die for us. His life and his death had a purpose that went far beyond what people could know. The prophets predicted Jesus’ birth and death many years before it happened. If it was predicted then it must really be important. Why is this so? As soon as Adam and Eve sinned, as soon as they chose the way of death rather than the way of life with God, it became crucial for Jesus to be our Savior. When death entered humanity through sin, it was necessary that there be someone to rescue us — a Savior — and the only way for him to rescue us from death was for him to die in our place, on our behalf. In the Garden of Eden, God could have said, “In the day that you eat the fruit of the knowledge of good and evil, I will surely die. You will be signing the warrant for my death on your behalf.” Because humans failed in the garden, it was important that humanity has to be started again through a man who would not sin – a man called called Jesus, the faithful Son of God – fully human, fully God. 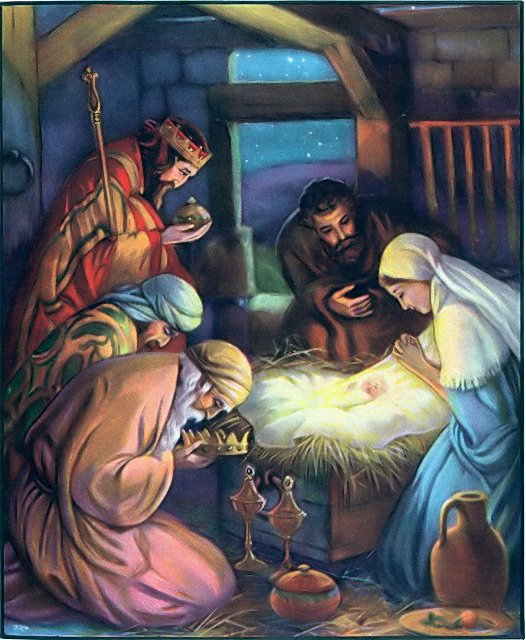 It is interesting to note that one of the three gifts given by the wise men to Jesus was myrrh – Gold for a king, frankincense for a priest and myrrh to anoint the dead. Myrrh was used to embalm the dead. During this Christmas season, no one wants to talk about dying. When a baby is born, we expect all kinds of gifts that make people happy. How would you feel if you give birth to a child and someone gives you an embalming product? How would you feel if after your baby is born, someone gives you a certificate that your child has a free cemetery lot for his burial? So here was Jesus and one of his first gifts was an embalming fluid for his death. This is kind of morbid and gloomy but it happened. I don’t hear Christmas songs talking about death or embalming items. In a way, when Jesus was born, he found a world full of violence, suffering and death. He found a world sliding down into the pit of the grave. That is exactly why he came. He came to save us from all the suffering, death and selfishness. He came as a savior to save us from the mess we put ourselves in. Jesus sees beyond all the discomfort of being human. He was a helpless baby. He grew up in a Roman world known for its tortures, paganism and corruption. He knew about the crucifixion waiting for him. Yet he chose to do it anyway – for us. For you and me. The verse tells us that Jesus did not look at his becoming flesh with all the pain and suffering as a morbid thing. He saw beyond it. He foresaw you and me. Jesus was born as human and died as human not for himself but for us. He did not look on this in a morbid way, because he could see beyond it — he could see the joy set before him. We are the joy that was set before him, and he is the joy that is set before us, the joy that can give us the courage to continue on the right path even when it is difficult, even when it is the valley of the shadow of death. There is joy for us in Christmas because Jesus could see the joy set before him – even during Golgotha, even before Gethsemane, even before Bethlehem, even before the foundation of the world. When we see the birth of Jesus, we see the story of what grace is all about. Jesus has given us the gift of faith and hope through his own story. When we see struggles in our own lives, we also see joy set before us for eternity. We see a life of joy, love and peace. Christmas is a reminder that the things in our life — no matter whether they are tiny like a baby, or filled with fear like a prediction of suffering — they are all part of a larger story that ends with joy for all of us together. In the birth of Jesus we see how the Son of God humbled himself to become one of us, and as Paul told the Philippians, this was just the first step in his humility, because he later humbled himself to death on a cross. That’s part of the story of Christmas — but it’s not the end of the story. The end of the story is the joy set before Jesus — the joy of our salvation, where we all rejoice together.